When The X-Files wrapped up its nine-season run in 2002, it left more than a few dangling narrative threads regarding the fates of FBI Agents Fox Mulder (David Duchovny) and Dana Scully (Gillian Anderson) and their quest to make sense of a massive conspiracy involving alien visitors and shadowy government agencies. After the 2008 film The X-Files: I Want To Believe did little to tie up those threads, the likelihood of fans getting any sense of resolution seemed improbable at best. Eight years later, however, The X-Files has found its way back to television in the form of a six-episode miniseries from original series creator Chris Carter that debuted over the weekend. The first episode of the revival series premiered Sunday, January 24, and pushed Mulder and Scully back into action after receiving a call from their former boss, Walter Skinner (played by original series regular Mitch Pileggi). Titled “My Struggle,” the miniseries’ debut episode didn’t shy away from channeling some of The X-Files‘ most iconic elements — particularly, the series’ reluctance to provide much in the way of answers for the many questions it posed. Written and directed by Carter, “My Struggle” encapsulates much of what made The X-Files a cultural touchstone of the ’90s. It mines the same sort of cultural paranoia that fueled the original series. In many ways, “My Struggle” serves as a reminder of both the best and worst of The X-Files. In many ways, “My Struggle” serves as a reminder of both the best and worst of The X-Files, sparing no opportunity to have Mulder rant about far-reaching conspiracies and the diabolical machinations of forces both human and extraterrestrial while Scully responds with skepticism and, at times, concern for his mental health. The episode stops short of confirming that any answers are in store for fans longing to know exactly what the facts really are with regard to the relationship between humans, aliens, and their potentially intertwined paths, but as always, it suggests that the truth is indeed out there. Still, even without the promise of answers, “My Struggle” is a welcome return for Mulder and Scully. At times, Duchovny and Anderson feel as if they’re still teasing out the rust in their on-screen interactions, but once they get rolling along it offers a nice reminder of the chemistry between the two stars that gave rise to countless volumes of fan-fiction and speculation. Series newcomer Joel McHale plays the most prominent role of the fresh faces introduced in “My Struggle,” and his character — a right-wing, Internet video pundit with an agenda that’s equal parts Fox News and Weekly World News — is clearly intended to drag the sensibilities of The X-Files and its protagonists forward into the modern, always-online world. What greater role he’ll play in the miniseries is uncertain at this point, but a meeting between McHale’s character and the conspiracy-hunting Lone Gunmen (who may or may not be still alive in The X-Files universe) already seems like an endlessly entertaining possibility. Much like the classic, mythology-driven episodes of the original series, “My Struggle” leans heavily on the complicated continuity of The X-Files as it relates to Mulder and Scully’s relationship and the damning truths that always seemed just out of the duo’s reach. However, future installments of the miniseries appear to draw inspiration from the side of the series that often seemed like a counterpoint to the mythology-building storylines: the standalone “monster of the week” stories. The second episode of the miniseries, titled “Founder’s Mutation,” is written and directed by James Wong, who co-wrote the first season’s memorable, nightmare-inducing episode “Squeeze” (about a mutant serial killer able to stretch and contort his body to stalk his victims). Subsequent episodes feature stories penned by Wong’s writing partner, Glen Morgan, as well as one of the series’ most popular writers, Darin Morgan, the storyteller responsible for the surreal “Jose Chung’s ‘From Outer Space’,” as well as fan-favorite stories “Clyde Bruckman’s Final Repose” and “Humbug,” among other critically praised episodes. Given those writers’ roles in upcoming episodes of the miniseries — and the very different way those writers approached the series during its original run — it’s difficult to predict what’s in store for fans as the new miniseries runs its course. 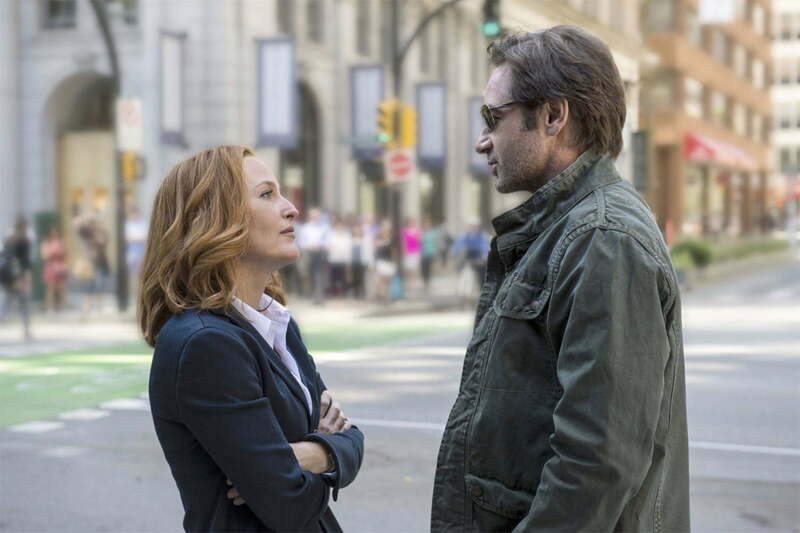 All the pieces appear to be in place for The X-Files to give fans everything they want from the return of Mulder and Scully, but as any longtime fan will attest, a big part of the series’ appeal is in not knowing what’s next for its intrepid FBI agents. And in that respect, the revival of The X-Files has already given fans reason to believe.